I read this article and found it very interesting, thought it might be something for you. 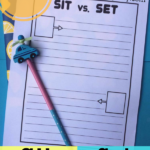 The article is called Sit Versus Set Notebooking Pages and is located at https://notebookingfairy.com/sit-versus-set-notebooking-pages/. You can sit down and sit up, but you cannot sit an object. 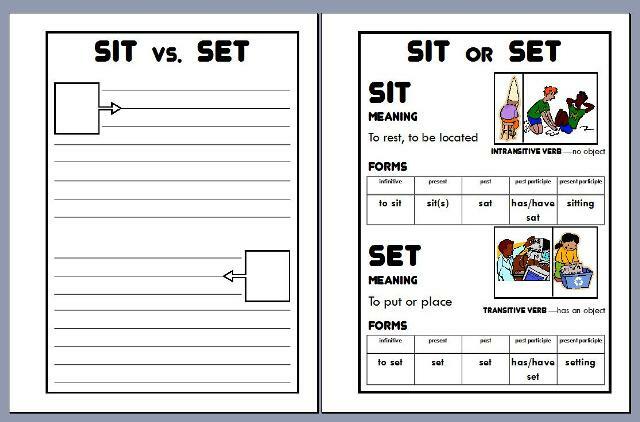 That’s because sit is an intransitive verb. It never takes an object. 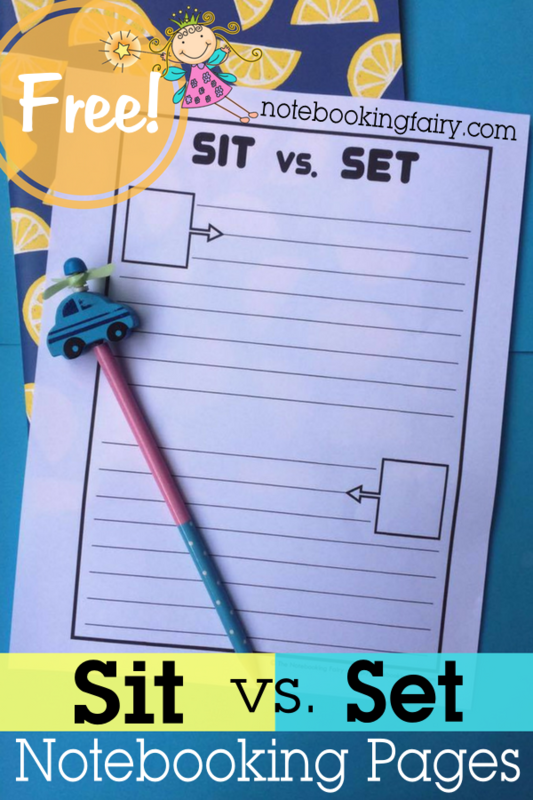 serve in a position (sits on the court).